Does anyone doubt that the EPA’s involvement in tougher permit reviews and new water quality guidance is frustrating for the industry? Surely any citizen who has tried to navigate the federal bureaucracy can appreciate the experience of having a big investment riding on the whims of seemingly nameless and faces folks in Philadelphia or Washington. But his rhetoric aside, I’m not sure that coal industry witness Michael Gardner made a very compelling case with his complaints about how his company, Oxford Resources Partners, was treated. I mean … they got two of the four permits they wanted and withdrew the other two from EPA’s consideration. And it sounded like from his written testimony that Oxford didn’t have much trouble getting high-level meetings with top EPA officials to discuss its specific permits — not something that every common coalfield citizen can expect out of their elected officials. On the other hand, it’s also clear to anyone who is watching that EPA is absolutely not being very transparent in how it’s dealing with mining permits in general or with its overall policy on these issues. If the Bush administration had tried to implement some very weak water quality limits for mountaintop removal through administrative guidance — instead of through a rulemaking with public input — would citizen groups and environmental activists be screaming about it? Almost certainly. And if you’re a coal miner in someplace like Logan County, W.Va., all of the talk about “clean energy” and a new economy sound pretty far-fetched — and it is, when government and business leaders put little effort or energy into trying to make those sorts of projects happen. A solar panel plant that might become reality in five or six years — or 10 or 20 years — doesn’t help you make your mortgage payments today and send your kid to college next year. But why not also acknowledge that EPA’s permit reviews have done some good, forcing a couple of companies to take positive steps to improve their mining operations and reduce environmental impacts? (See here, here and here). I didn’t hear anybody at yesterday’s hearing even mention this. The notion of ‘clarity’ invoked by some West Virginia officials and industry representatives has too often meant letting coal companies do as they please, with little or no consideration for the harmful impacts on Americans living in coal country. About the closest yesterday’s hearing got to facing real issues was when National Mining Association President Hal Quinn cited a U.S. Department of Energy report that said mining productivity in Appalachia had dropped by 20 percent. Over the projection period, labor productivity is expected to decline in most coal supply regions, reflecting the trend of the previous five years. Higher stripping ratios and the added labor needed to maintain more extensive underground mines offset productivity gains achieved from improved equipment, automation, and technology. Productivity in some areas of the East is projected to decline as operations move from mature coalfields to marginal reserve areas. 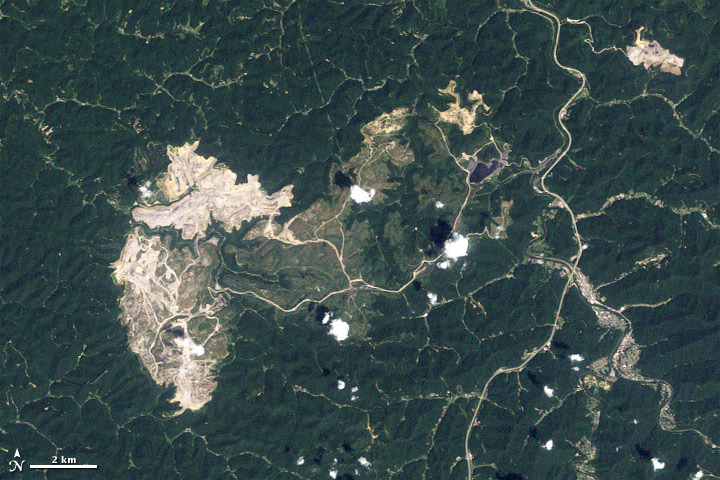 Regulatory restrictions on surface mines and fragmentation of underground reserves limit the benefits that can be achieved by Appalachian producers from economies of scale. On thing that has been on my mind lately is what coal miners used to tell me when I drove around Southern West Virginia 20 years ago when I first started at the Gazette. They always used to tell me they did what they did so their kids could go to college and do something else. They seldom wanted coal mining to be their son or daughter’s future. But today, all you hear from political leaders like Sens. Jay Rockefeller and Joe Manchin is that “coal defines us” and is West Virginia’s future. — Climate change: It’s real. The science is sound. Most experts think we need to move very quickly if we’re to avoid the worst consequences of the continuing buildup of greenhouse gases in the atmosphere. That means dealing with coal, and finding a way to reduce its carbon dioxide emissions. The only way to do that is to reduce the amount of coal we burn or to capture the greenhouse gases. — Carbon capture and sequestration: If the climate crisis is to be dealt with, the only way the coal industry will survive is to perfect and deploy carbon capture and sequestration, or CCS, technology. But this stuff is far from perfected and certainly far from deployed. And there’s a general consensus that not nearly enough is being done by the government or the private sector, especially regarding the need to put a price on carbon to force companies to adapt. 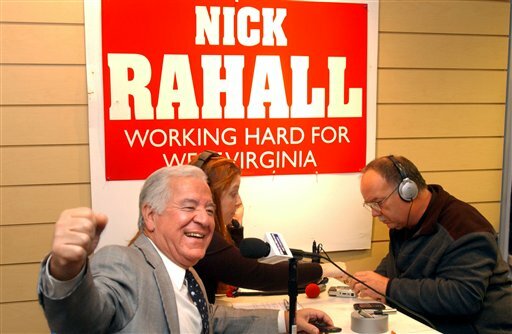 — Environmental damage from large-scale surface mining: I hate to pick on my good friend Rep. Nick J. Rahall, D-W.Va. But most of the mountaintop removal is in his district. And he was on the conference committee that wrote the federal surface mining act. He’s in his 18th two-year term in Congress. And Rep. Rahall seems utterly unwilling to even discuss this issue. During your opening statement today, you talked a lot about finding a balance between mining jobs and environmental protection. The peer-reviewed science indicates very clearly that current mining practices are damaging water quality and the environment, and harming the health of coalfield residents. Given that scientific evidence, what specific proposals do you have for reducing those impacts as part of seeking a balance between jobs, the environment and public health? The impacts of these lost forests and buried streams are propagated throughout the river networks of the region as the resulting sediment and chemical pollutants are transmitted downstream. There is, to date, no evidence to suggest that the extensive chemical and hydrologic alterations of streams by MTVF can be offset or reversed by currently required reclamation and mitigation practices. Coal mining was significantly associated with ecological disintegrity and higher cancer mortality. Spatial analyses also revealed cancer clusters that corresponded to areas of high coal mining intensity. Our results demonstrated significant relationships between ecological integrity and human cancer mortality in West Virginia, and suggested important effects of coal mining on ecological communities and public health. Assessments of ecological integrity therefore may contribute not only to monitoring goals for aquatic life, but also may provide valuable insights for human health and safety. I believe there are sufficient laws on the books with respect to SMCRA and the Clean Water Act that if implemented properly, and by that I mean in a manner by which everyone clearly understands what the rules require, that balance can be obtained. — Have you reviewed any of the recent peer-reviewed science regarding the environmental and public health impacts of mountaintop removal? What conclusion do you draw from what you have read? — Do you believe that current practices are protective of the environment and public health? — If you believe they are protective, what is your data or evidence to support that conclusion? — If you don’t believe they are protective, what specific steps have you encouraged relevant agencies to take under existing law to become fully protective? I haven’t heard back from Rep. Rahall or his staff … but if they don’t want to answer these kinds of questions, they wouldn’t be the only ones. While you are asking quesitons. What about the testimony and stories that we have heard and read from yesterday’s hearing. Why did USEPA Headquarters reject the agreement that Kentucky and EPA Region IV reached on the permitting of CWA 402 permitting after several months of intense discussion and 2 years of dialogue on this issue? Why did Administrator Jackson tell the Governor of the Commonwealth of Kentucky that if an agreement could be reached with EPA Region officials that agreement would be honored only to pull a last minute renege on that 2 year effort? If you want to talk balance and having a dialogue on the issues, I would submit to you that the current EPA leadership at headquarters isn’t as interested in resolving these very challenging issues that you rightly mention in your article as EPA has publicly stated. Why is that? You ask and pose very good observations and questions. The problem is, the extremes on both sides don’t want to yield their positions. I have stated this repeatedly, until the majority in the middle impose their voice, this debate will continue. There are solutions. There are answers. Some of those have been achieved, yet rejected by one extreme. Everybody loses because of the decision(s) of a handful of people. I submit that if the George W. Bush administration had issued a water quality guidance memo that the coal industry liked — that was favorable to them — the National Mining Association would have little problem with whether the appropriate procedures were followed. And, as I mentioned in this blog post, if that happened, environmental groups would have been up in arms about the procedures not being followed — while in this instance, they aren’t saying much about that. While issues about transparency and proper procedures being followed are important, whether special interest groups complain about that generally depends on whose ox is getting gored. Moderate, since science is the only process by which we obtain knowledge, and facts are the particulate basis of that knowledge, it seems that you are complaining about the way facts are implemented and not about the facts themselves. That’s a legitimate concern, right? The system is not actually built for adaptive management. But when the laws are being violated, clearly and unequivocally, your concerns seem mooted by the sovereignty of the law. Complaining about procedural concerns when there are clear and immediate environmental consequences seems a bit short-sighted. But that is the main thrust of all this, complaints about perceived agendas and misrepresentations and deliberate misinterpretation of objective facts. What we have yet to hear is anyone providing any evidence that the facts themselves are wrong. Perhaps if the industry would stand down on pounding the table and issuing one spindoctored press release after another, we might let the smoke clear. Unfortunately, this is lawyer land so common sense solutions are off the table. I am a scientist. I also am a citizen of the United States. We are a nation of laws. That’s the system that makes up this country. Without such, we would be a people without order. Because of that, and the need for such laws to be promulgated under due process, we are therefore not ruled by a dictatorship which wakes up one day and decrees that such is such is the law of the land. That’s what happened here with this EPA. That doesn’t speak to the science at all. Public policy is founded in science, economics, and any number of factors that lead to a decision as a people that declares this is the law of the land. That’s the way our nation works. This is one of our strengths. If we were driven only by science, we wouldn’t drive cars, we wouldn’t be allowed to eat the foods we eat, we wouldn’t be allowed to do most of the things that we have freedoms to do. If science were the only determining factor, we wouldn’t have industry, sewage plants, landfills, straight pipes, population growth, or virtually anything. Science cannot be the only consideration, rather it is a consideration. Albeit an important consideration. Most of our environmental laws have something of a purist doctrine, but also account for the reality that no society can live free from some acceptable impact for our being here as a people. Therein lies the policy debate that determines how much science to adopt into making that determination. Our NAAQS are revised every so often to account for this. Our RSLs are revised every so often to account for what we determine are acceptable risks. The list goes on and on. We, as a people, decide what is acceptable risk. So, yes, science is very important, but it is not the only criteria by which public policy is determined. We are a nation of laws and EPA didn’t follow the law in this case, regardless the merits of the science. Well said, Moderate. Science alone cannot set policy; it can only inform policymakers … And the job of policymakers is to balance a lot of competing priorities and belief systems. “If we were driven only by science, we wouldn’t drive cars, we wouldn’t be allowed to eat the foods we eat, we wouldn’t be allowed to do most of the things that we have freedoms to do. If science were the only determining factor, we wouldn’t have industry, sewage plants, landfills, straight pipes, population growth, or virtually anything. Science cannot be the only consideration, rather it is a consideration. Albeit an important consideration. because that seems to suggest the opposite. Can you explain what you mean “if science were the only determining factor then we would have none of these things?” That can only be true if you are saying that science does generate ethical or moral values. What I am saying is this: there is unequivocal empirical scientific evidence that surface coal mining in Appalachia harms human health and violates the law. You are apparently insisting on ignoring these data until some sort of due process is achieved that suits your druthers, despite the fact that industry collusion with lawmakers has persisted in moving these public policy goalposts over and over and over. Soyedina, I agree with you. The statement “If we were driven only by science, we wouldn’t drive cars, we wouldn’t be allowed to eat the foods we eat, we wouldn’t be allowed to do most of the things that we have freedoms to do. If science were the only determining factor, we wouldn’t have industry, sewage plants, landfills, straight pipes, population growth, or virtually anything” simply doesn’t make any sense. Science is a method of getting understanding and information to know better what is going on. Then we make decisions based on the infomration. If it were not for the scientific method we would not know how to build a sewage plant, etc. People who for various quite understandable reasons really don’t want to face the truth about what is going on — try to “undermine” the role of science, for pointing out the unpleasant truth. They often do this deliberately to confuse the issue. Whether to accept certain negatives in order to get other things, as Ken says, is a policy call. But first you have to know, as best you can, what is going on. That’s where the scientific method comes in. I am not ignoring science. I am well aware of the science relative to coal mining, very aware. What I am saying, and said above, is that science isn’t the only criteria in deciding public policy. We, as a society, accept some level of risk in virtually everything that we do. All of those examples I provide are just that, examples of things that we as a society accept a certain degree of risk in choosing to do or allow as a part of our public policy. The same holds true of mining. Every day in our environmental laws, for example, there are risk based decisions that are made when we decide what is and is not acceptable. I fully appreciate your perspective that existing surface mining practices in Appalachia cause some degree of harm to our water environment/habitat. I am well aware of that. None-the-less, there are processes by which our nation functions that must be followed in determing what is and isn’t acceptable public policy. Not to get overly involved in the specifics of the science related to surface mining, but there isn’t a 303(c) water quality criteria for conductivity/TDS, there are state narratives. There isn’t a whole effluent toxicity test currently established for Ephemeroptera as woujld otherwise be required under 40 CFR 122. Rather there are existing acute and chronic tests for WET using traditional species such as ceriodapnia and fathead minnow. There aren’t existing prescribed requirements under SMCRA or the CWA dicatating specific BMP or engineering practices for the management of excess spoil material. And the list goes on. The point of this is, while many of us may agree on some basic science findings as of current available information (ie., we’re not ignoring the science), science simply is not and cannot be the only gospel upon which we make our public policy decisions. Now, once EPA goes through it’s prescribed requirements, then perhaps then – yes – that science can be applied using the existing regulatory frameworks that we currently have. Until that occurs however, we are left with the reality that EPA circumvented that process for reasons that I can only presume upon. I contend regardless however that as a nation it is good and proper that we govern ourselves in accordance with applicable processes lest we have a autocratic decision making process rather than a democratic decision making process – regardless the frustration it may cause one perspective or the other.